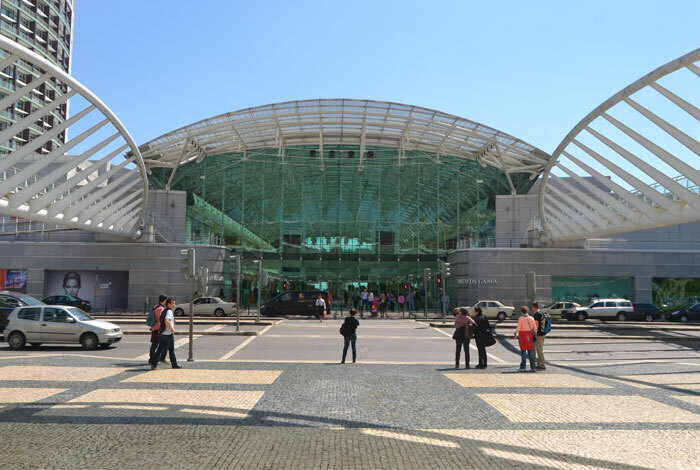 Sport Zone is owned by the SONAE group and it’s the largest chain of sports shops in Portugal, with more than 75, having opened its first store in Portugal in 1997 and in 2008 the first store in Spain, in Madrid. It has a network of stores with an average sales area of ? ?1,000 m2, being present in major shopping centers in the country and offering a wide range of articles and equipment for different types of sports, combining the display of prestigious brands and also of several options within its own brand. 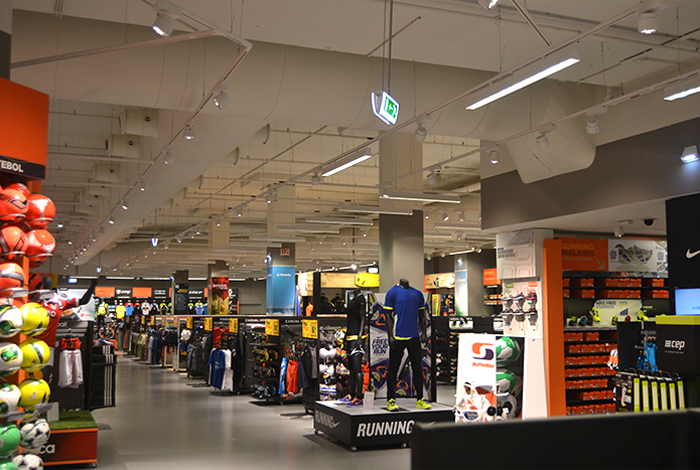 The lighting project consisted on the complete refurbishment of the store based on a new concept, which implied ease and speed of replacement and reconfiguration of lighting, taking also into consideration energy efficiency. To obtain good performance in energy efficiency, it was used high-performance luminaries in combination with ECO lamps. 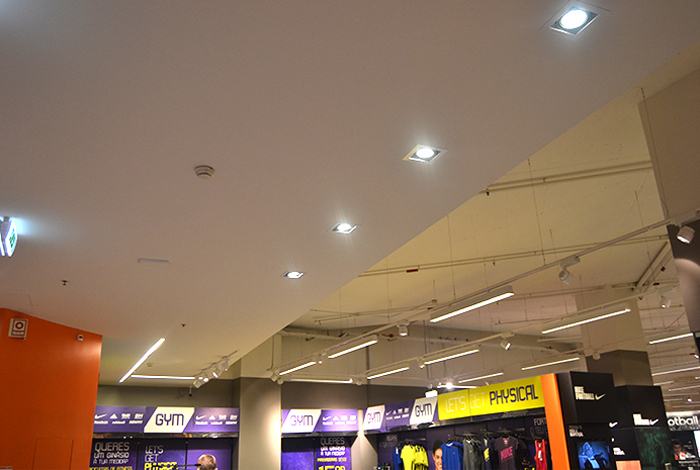 Lighting products have been applied in different areas of the store, to thus provide customers with better quality service. In this sense, it was proposed the TRACK SYSTEM, an electrified thriphasic rail, applying to it the luminaries IT-ICE, in the symmetric and asymmetric options, and also the CALÉ projector. 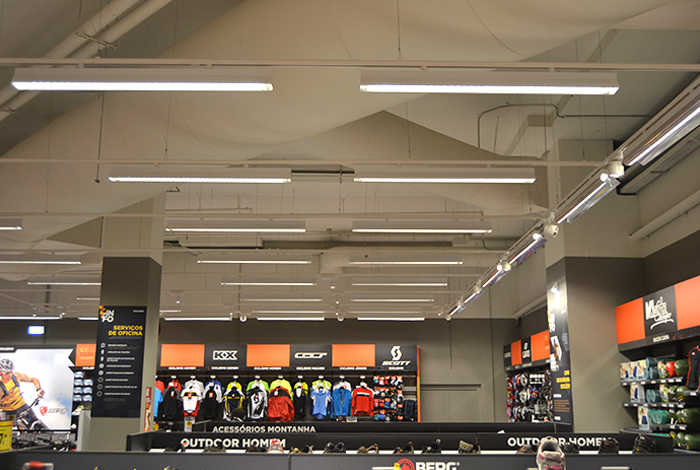 The symmetric IT-ICE was applied in order to illuminate the store, that is, to give environment light in general. The asymmetric IT-ICE was used to direct the light to the intended highlighted areas, the exhibitors and brand logos. The ET-TCA, with asymmetric option, was displayed in a way to direct the light to the exhibitors. In the shoe shelves, it was applied the product MIKRO C and RIBON to highlight the products placed there. To create environment light at the store entrance (Hall), it was applied the recessed luminary DI-EVK and at the reception area it was placed the ST-TCH. 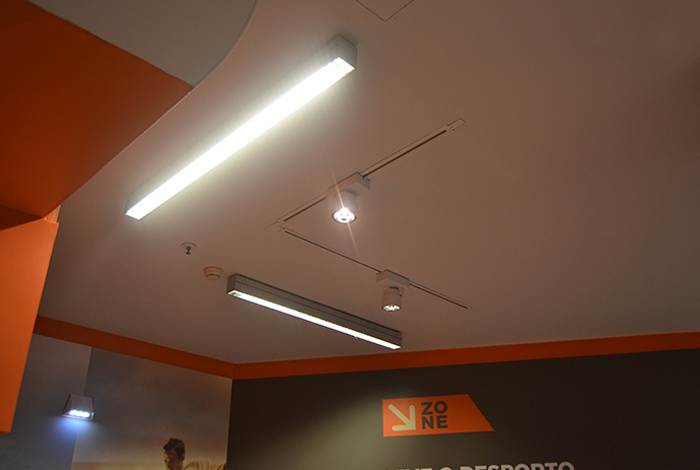 Finally, for the dressing room area, it was used the recessed luminary DD-TDL.